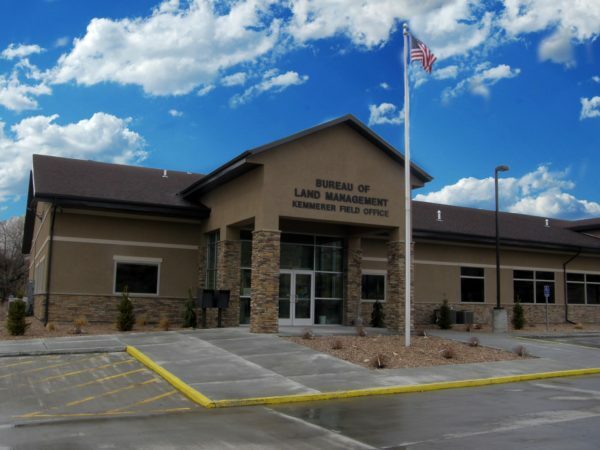 Marcus & Millichap is pleased to present the exclusively listed Bureau of Land Management (BLM) building located in Wyoming. The 13,087-square foot building was constructed in 2013 as a Build to Suit for BLM and is situated on 5.19 acres of land. BLM offers an incoming investor a unique opportunity to own federally leased property with over 16 years of lease term remaining, backed by the U.S. Government (“AA+” credit rating). The BLM manages more than 18.4 million acres of public lands and 41.6 million acres of federal mineral estate for multiple use in Wyoming. BLM-managed lands in Wyoming contain world-class energy and mineral resources that are crucial to the nation: coal, oil and gas, Uranium, Bentonite, and Trona production. At the same time, these lands offer abundant opportunities for recreation. The BLM’s mission is to sustain the health, diversity, and productivity of public lands for the use and enjoyment of present and future generations. The BLM was established in 1946, but its roots go back to the years after Americas independence, when the young nation began acquiring additional lands. At first, these lands were used to encourage homesteading and westward migration. The General Land Office was created in 1812 to support this national goal. Over time, values and attitudes regarding public lands shifted, and President Harry S. Truman, by means of a government reorganization, merged the GLO and another agency, the U.S. Grazing Service, creating the BLM. The longest and most intact segments of the national historic trails system are on BLM-managed land in Wyoming. There are 1,400 miles of Oregon, Mormon Pioneer, California and Pony Express trails that cross Wyoming. Tourism is Wyoming’s second-largest industry and relies on BLM lands. In the fast-growing west, public lands are especially valuable for the open space and recreational opportunities they provide.